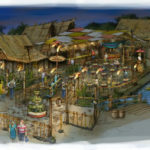 Ever since the project was first announced this past February, Disneyland fans have been eagerly awaiting The Tropical Hideaway, the complete transformation of the area that previously housed Aladdin’s Oasis (and Tahitian Terrace before that) in Adventureland at Walt Disney’s original Magic Kingdom. 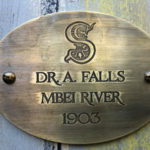 And as of yesterday, guests are finally getting the chance to experience all that the new counter-service dining location has to offer along the shore of The Jungle Cruise’s river. 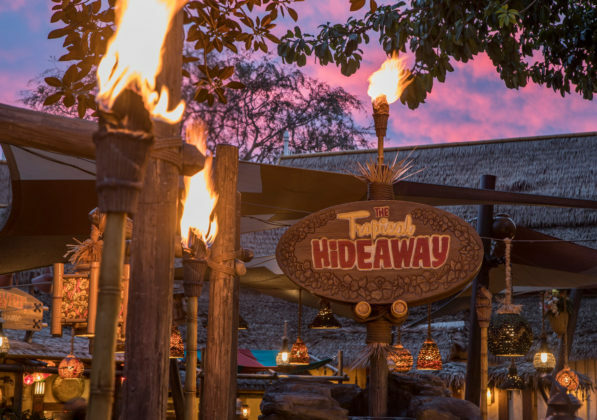 Early Wednesday morning, Disneyland held a limited media preview for The Tropical Hideaway, followed by an exclusive sneak peek for Club 33 members, and then around 11:00 AM the restaurant soft opened to all guests at the Happiest Place on Earth. 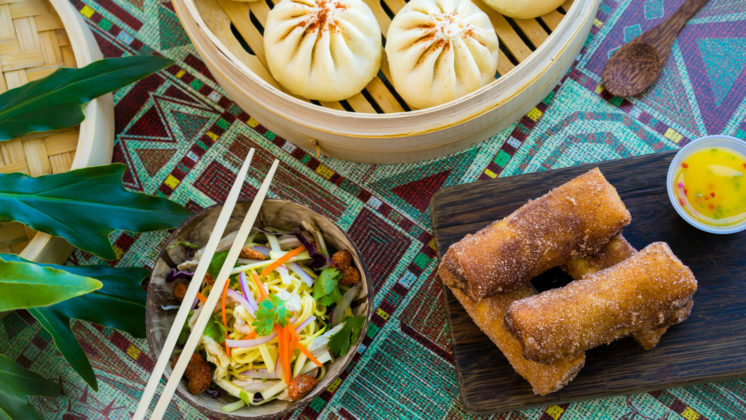 Exploring the highly-detailed new eatery revealed a number of fantastic features, terrific tropical theming, and plenty of hidden Easter Eggs referencing other Disney theme parks and attractions. 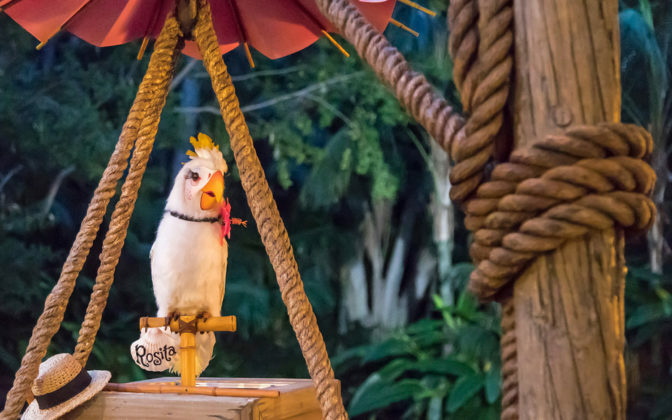 The main attraction at The Tropical Hideaway, however, is almost certainly Rosita, the bird who flew the coop so many years ago at the adjacent Enchanted Tiki Room. 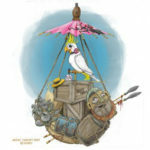 Rosita is perched on the dock overlooking the patio, and entertains the crowd every couple minutes with quips, comments, and observations about life in her equatorial paradise. 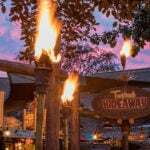 With the number of groan-worthy puns Rosita delivers throughout the day, she could easily qualify for a position as a Jungle Cruise skipper. 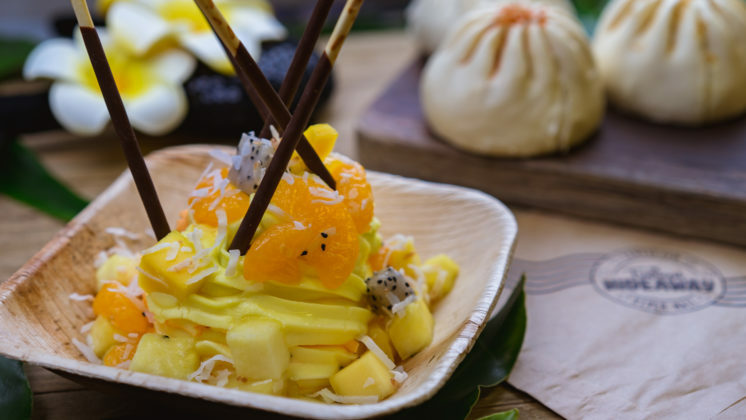 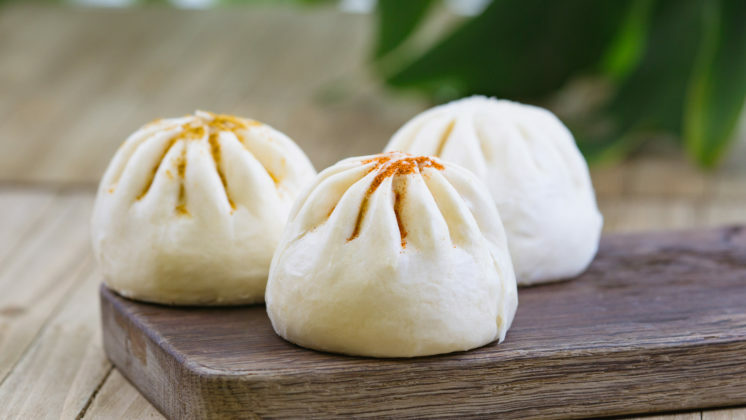 Beyond scenery and entertainment, The Tropical Hideaway offers delectable fare such as a variety of Bao and Disneyland’s famous Dole Whip floats, now in additional flavors like orange and raspberry. 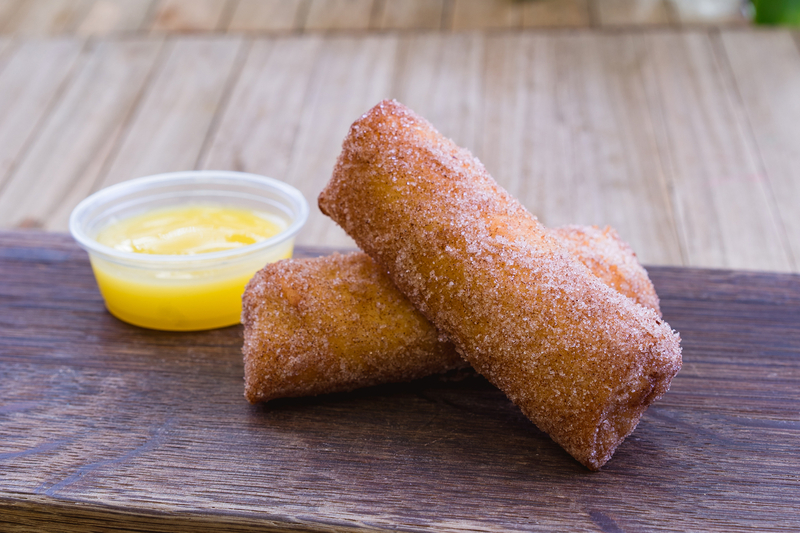 Order a Twisted Ambush and a Cast Member will sound the gong! 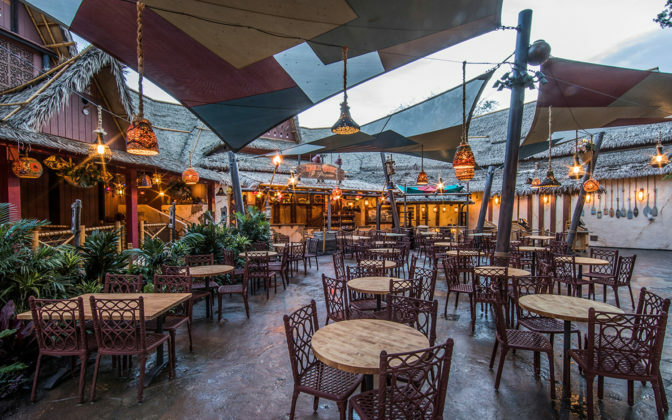 Media in attendance for the preview were given a presentation by a Walt Disney Imagineer and Disneyland Resort Chef, who discussed what guests will see, hear, and taste in this new outdoor establishment. 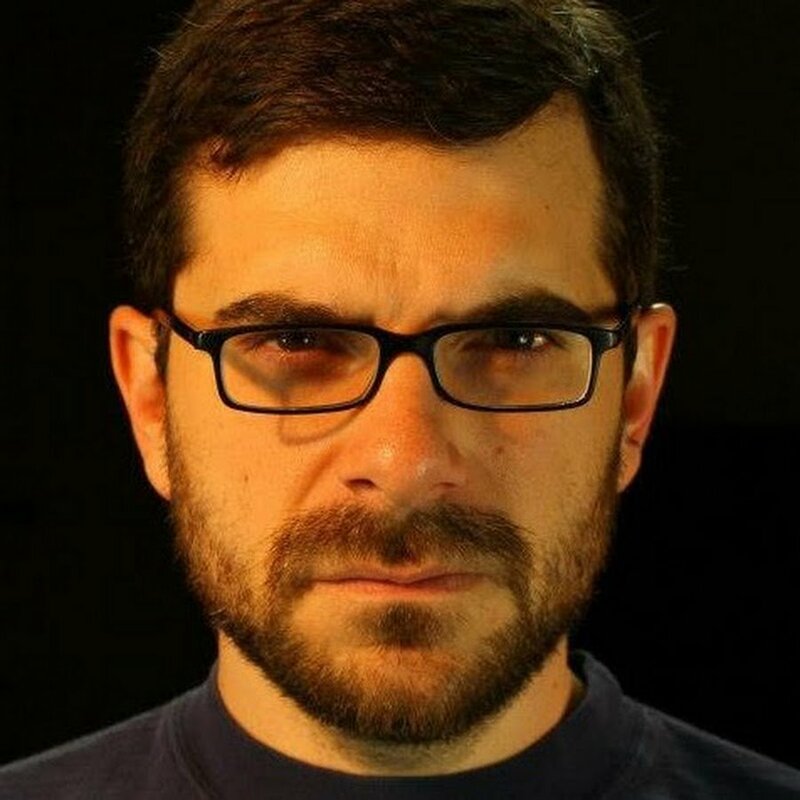 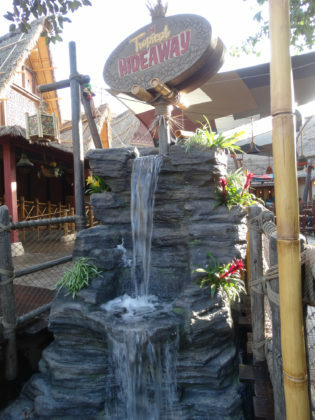 Finally, I had the amazing opportunity to speak briefly with Imagineer Michael Dobrzycki, who served as Art Director for The Tropical Hideaway. 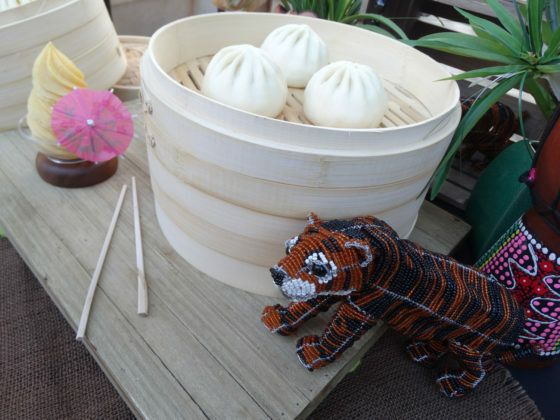 He kindly showed me around the new area and pointed out some details that I hadn’t noticed on my own. I left Disneyland today incredibly impressed with what the Imagineering team had put together with The Tropical Hideaway. 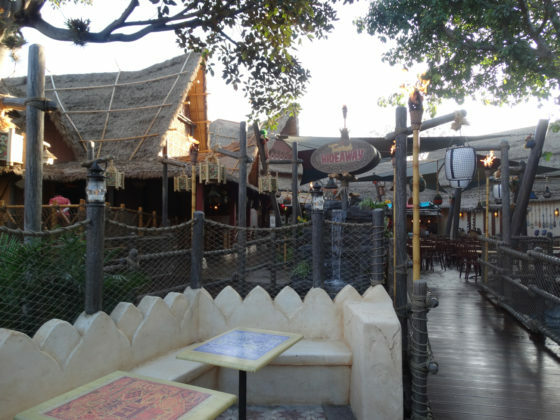 It’s such a fantastic use of a space that had gone underutilized for years, and I can see it becoming a regular hangout between attractions, or just a place to relax at the riverside, watch the Jungle Cruise boats pass by, and enjoy the atmosphere. The Tropical Hideaway officially opens this Friday, December 21 at Disneyland in Anaheim, California. For more information, be sure to visit the Disney Parks Blog.